What exactly is an Airbnb Superhost? An Airbnb Superhost is a host that goes above and beyond for every guest. Hosts receive an assessment every quarter to determine if they qualify for Superhost status. They are judged on their overall rating, responsiveness, activeness, and reliability. Superhosts have many benefits such as increased listing visibility, discounts, and priority support. 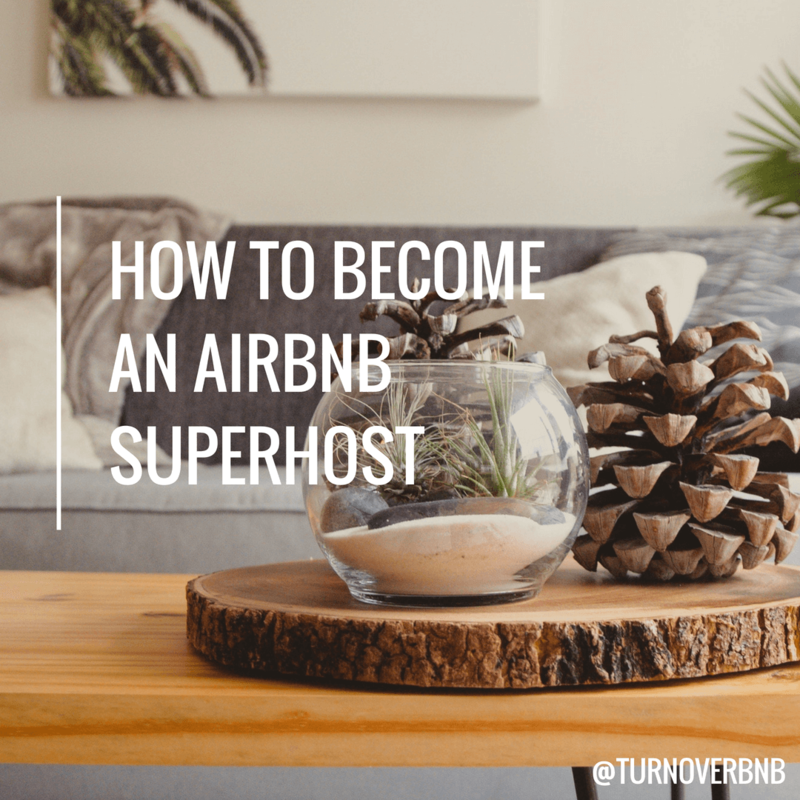 Here are some tips that will help you become a Airbnb Superhost. Cleanliness is one of the many factors that can affect a host’s overall rating. It is important to realize that cleanliness standards can greatly vary between guests. Cleanliness can make a lasting impression on your guests. If you lack the time to clean your Airbnb thoroughly and quickly, you may want to consider hiring a professional Airbnb cleaner. Find the perfect Airbnb cleaner on the TurnoverBnB marketplace! Not only can quick responses get you good ratings for communication, but it may also lead to more bookings. You have 24 hours to respond to a reservation request before it expires. Get into the habit of responding to inquiries or reservation requests quickly. Setting notifications on your phone and laptop can help cut down on your response time. Make it a habit to check these devices several times throughout the day. If you particularly struggle with your response rate, it may be beneficial to hire a property manager to help manage inquiries and reservations. Screening guests can lower the chances of hosting problematic guests. Many hosts will require booking guests to complete the Airbnb verification process which verifies things such as their government ID, phone number, and email address. Don’t be afraid to probe a little for their reason for coming into town. You want to make sure that your guests are the right fit for your vacation rental. Besides a lower cost, what else do you think guests are looking for when renting a vacation home? A personal experience. Guests don’t want to feel like a stranger in someone else’s home. To create the perfect Airbnb experience, do things that help your guest feel welcome. This could be as simple as offering a small welcome gift or by providing suggestions on local tourist attractions. If you can provide your guests with a more personal stay, you are likely to be rewarded in your reviews. Be sure to showcase your property and its amenities as accurately as possible. Both your listing description and your pictures should be an accurate representation of your Airbnb. Your guests should know exactly what to expect based on the information you provide them.